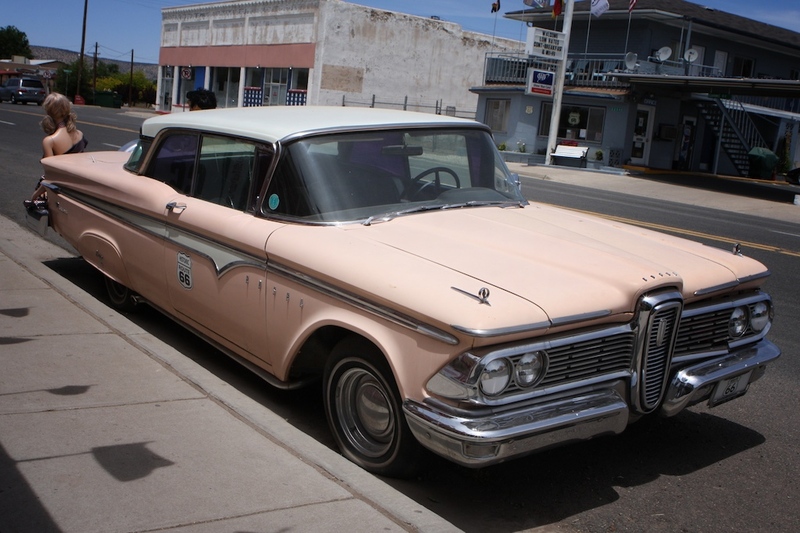 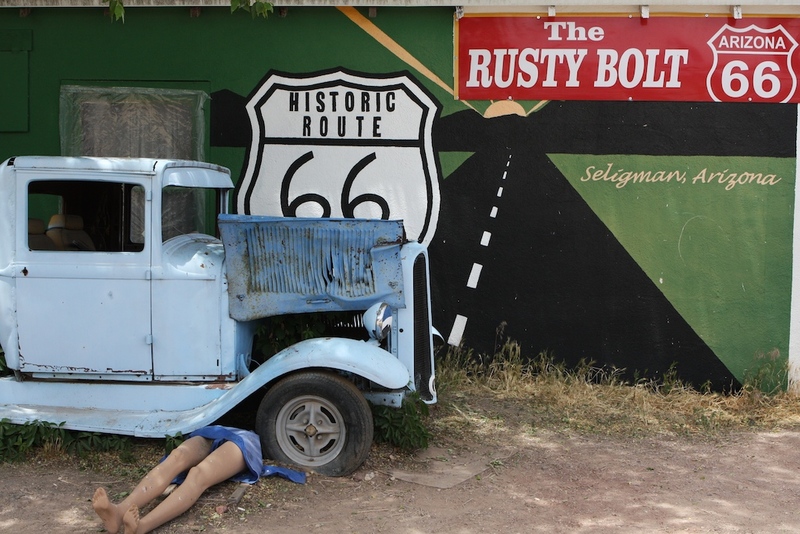 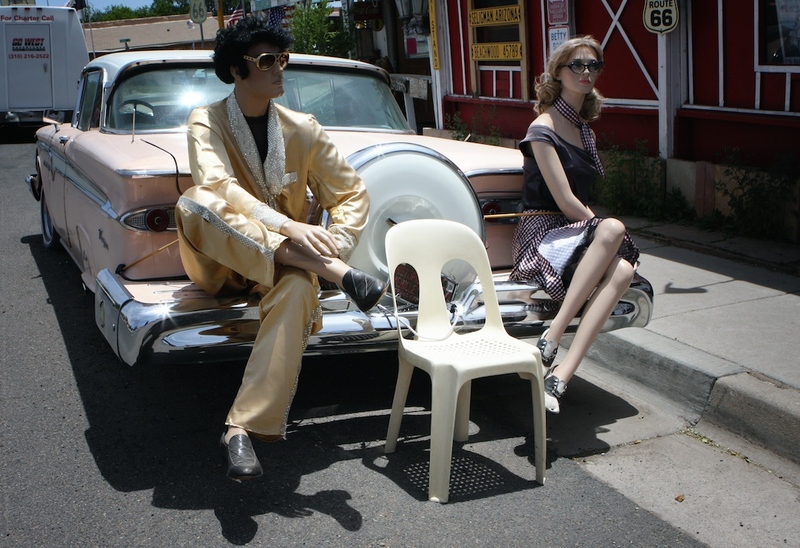 Photo ops and souvenirs abound at the Rusty Bolt along Route 66 | Best Road Trip Ever! 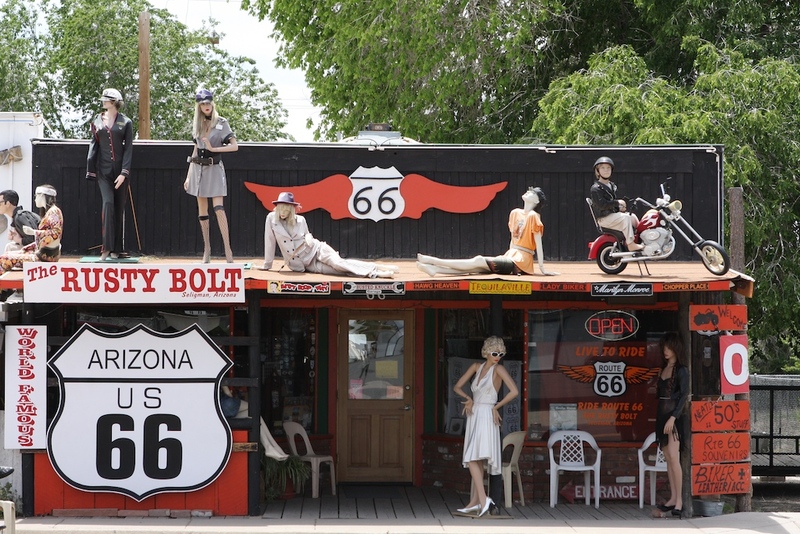 The Rusty Bolt is a biker store and Route 66 gift shop with a true folk art exterior. 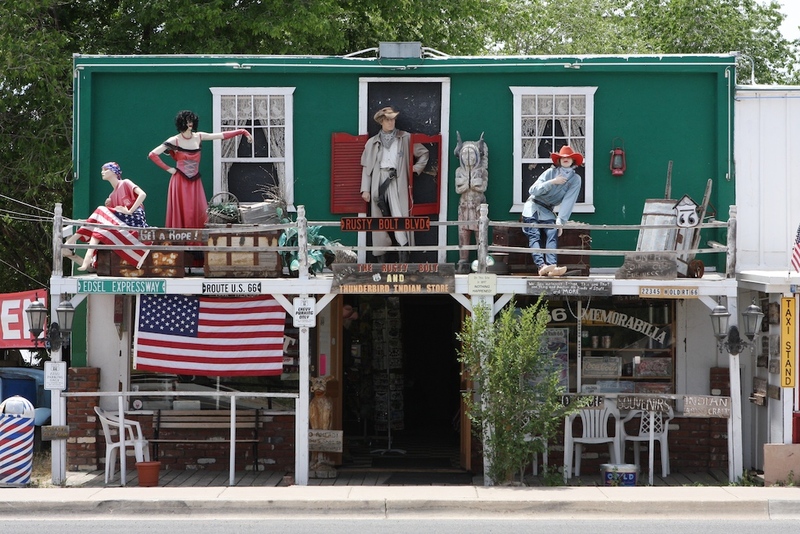 Teeming with tourists and chockfull of unique 66 souvenirs and Americana, plus a third of the shop is devoted to biker accessories, leather and boots.